Only four short months away. How long will it be before we learn the name of Force India?? Last edited by @McMike; 02-01-2019 at 01:35 PM. Daniel will be in the Renault.....but not in the McLaren. Excited for the changes. Cant come quick enough. Toro Rosso have completed their driver line-up for 2019 as Alex Albon has been signed alongside Daniil Kvyat. 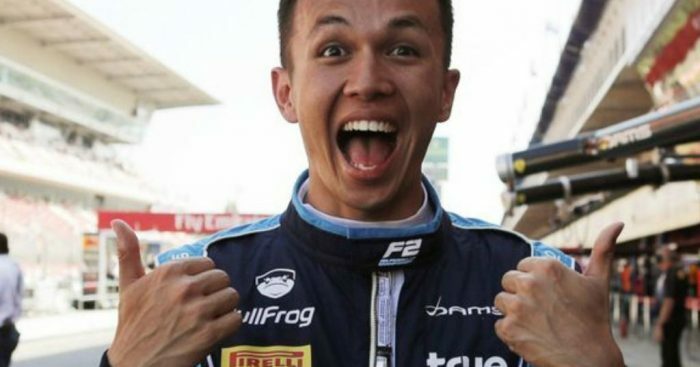 22 year old F2 racer Alex Albon, who raced for DAMS and contended for the title, has been signed in place of Brendon Hartley for 2019. Lewis Hamilton 2019 WDC and 6 time champ. The only change to the engine regs next year is that they can carry more fuel (5kg) so they don't have to hyper-mile as much to go the full race distance. I feel it's Mercedes' season to lose. Is the race schedule not identical to this year? Changes to the Safety Car regulations to ensure there is a consistent point at which drivers may overtake when the Safety Car returns to the pits. This will now be the same in all three types of restart. The teams will now be responsible for initial scrutineering of their cars. Before the cars go on track for the first time, teams must declare conformity with all safety related matters. The official end-of-race signal will now be a chequered light panel, although the chequered flag will still be shown. For 2020, the team personnel curfew – the amount of time for which all team personnel must be away from the track overnight – will increase from eight to nine hours. Changes to the mirror regulations and also associated rear wing changes (height) for rear view visibility and safety. The on-board camera regulations will be modified to improve the TV spectacle. Rear endplate lights are to be added for safety. Minor modifications to the halo fairing are to be made for safety reasons during a potential driver extraction. My take is RedbullHonda might take a bit to bear fruit, would be surprising to see them knock it out of the park on their first year together. Lewis is hugely confident now, team mate it basically his servant, non of this riling him up and distracting him like Nico did. Nothing is unknown for him next year, he even ended this year winning so another psychological advantage. Vettel know he messed up this year and that is tough to overcome, he lost his best buddy and rear gunner in Kimi and he has a new team mate who will fight him tooth and nail with nothing to lose. Vettel has to have it in the back of his head how Ricciardo schooled him in a team that was basically his and could it happen again. He also has to be thinking if he doesn't win it for Ferrari next year or gets showed up by Leclerc, his value and even career could be severely damaged. Lots of issues and pressure other than just beating Lewis next year. US and Mexico flip-flopped, but I think the rest of it was the same. Lots of issues and pressure other than just beating Lewis next year. Agreed. The first step is Ferrari providing a car that can match/beat the M-B for greater than the majority of a full season. That hasn't happened yet. M-B had the better/faster car for 75% of this season. RBR owned a couple of races too. Maybe it's me but in my 30 yrs of watching this sport without that little perk, you'll never hold the trophy at season's end. Vettel know he messed up this year and that is tough to overcome, he lost his best buddy and rear gunner in Kimi and he has a new team mate who will fight him tooth and nail with nothing to lose. Oh and this is cool, happened today - Jimmy J. and Alonso car swap. I witnessed the Lewis Hamilton/Tony Stewart car swap at Watkins Glen back in 2011, both guys where fast in each others cars, Lewis really hucked that Nascar around. Was very cool to witness them standing inside the bottom of the boot. 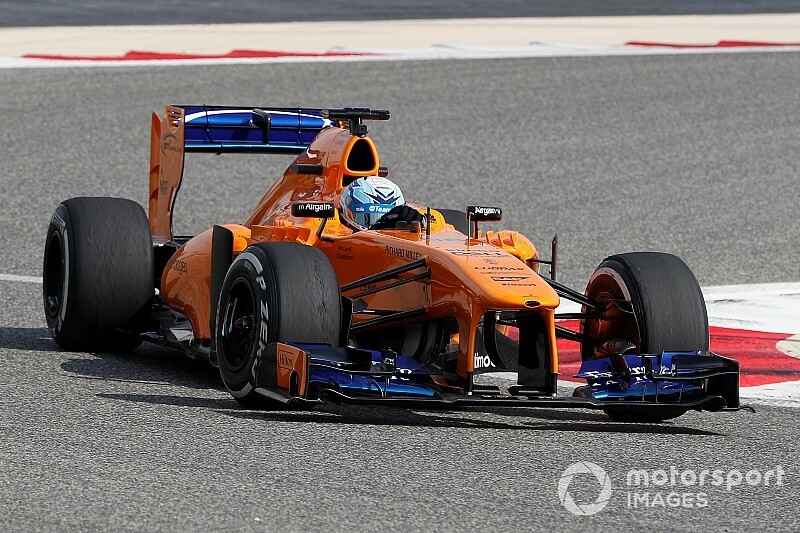 I almost necro-bumped The 2013 F1 Countdown Thread this morning to post that since they used the McLaren/Mercedes MP4-28 (Button/Perez). I wonder how much that has to do with where Halloween falls and the COTAs use of the local high school parking lot during the 3 day race weekend. The school district gets the friday of race weekend off every year. Either way, I hope all those teams and equipment isn't seen as some sort of caravan. But I think the RBR Honda will be a real force to be reckoned with. Wow, so the driver's line up is all locked in. And 2018 is not even over yet. Can't remember the last time all seats for the next season were locked down so soon. But then again, Toro Rosso is known to jettison a driver mid-season. As much as I would love for RBR to do well I have a feeling they will pretty much be the bottom of the best behind MB and Ferrari. If the Honda proves more reliable than the Renault they could make it close (~150pts down this year) but not quite to second. I'm torn because I've been a RBR fan since almost the beginning of their team but now I'm not a fan of either of their drivers. I think I'll probably follow Ricciardo and watch Renault this next season. I hope he does well but I don't see Renault getting higher than 4th again. I also have a feeling that Ferrari will give MB a better run next season with Vettel doing better and LeClerc playing wingman to annoy Botas. I've never been a Ferrari fan and have actively rooted against them for years but now they have two drivers that I really like so . . . damn it. My prediction is that the 2019 standings will be very close to how 2018 ended with Renault closing the gap to RBR (nearly 300pts back this year so lots of room for improvement) and Ferrari beating MB to the title. Vettel will pull it together and win the Driver's Championship with Hamilton second. The press and most of the paddock would disagree with the assertion that MB was better a full 75% of the time. To the contrary many have made hay and garnered clicks with articles stating quite the opposite, some saying if Ferrari hadn't botched strategies and made other mistakes and minus Vettel's own slip ups it was their's to take this year. Salt in the wound was the "what if" stories saying if drivers X, Y or Z in the red car there would have been a different outcome. Though unfair guesses IMO it does show that more than a few believe Vettel and Ferrari left much on the table, way more than a quarter. Ferrari is on the rise now and are adding talent in the garage which bodes well for 2019. IMO Leclerc is brutally raw, he's crunching cars on the regular. Leclerc may shine in the paddock but Vettel will remain the real hope for a championship next year but Vettel will be pushed nonetheless.